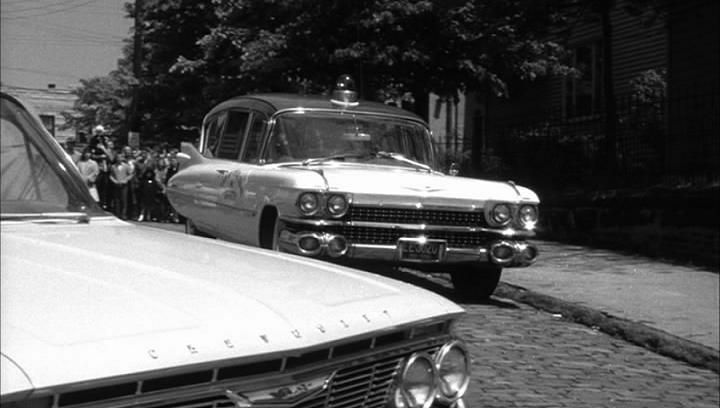 IMCDb.org: 1959 Cadillac Ambulance Superior Royale in "Route 66, 1960-1964"
Forward slanting rear window frame spells "Superior". It's probably the "Royale Rescuer". Heeeey! I'm glad to read a comment by my favourite Cadillac historian! Welcome back, MrCadillac. I agree: This is a conversion done by Superior. She is a Superior, but an ordinary "Royale". The "Rescuer" is a hightop with either 48" or 54" headroom.